Are Corrupt Chinese Officials Turning Off Crime-Fighting AI Because It Works Too Well? China appears to be shying away from an incredibly efficient AI-powered crimefighting system – perhaps because since 2012 it’s busted over 8,700 government employees engaging in misconduct ranging from embezzlement, to abuse of power, to nepotism and more. The system, dubbed “Zero Trust” was developed in partnership between the Chinese Communist Party’s internal monitoring institutions and the Chinese Academy of Sciences in order to “monitor, evaluate or intervene in the work and personal life of public servants,” according to SCMP‘s Stephen Chen. 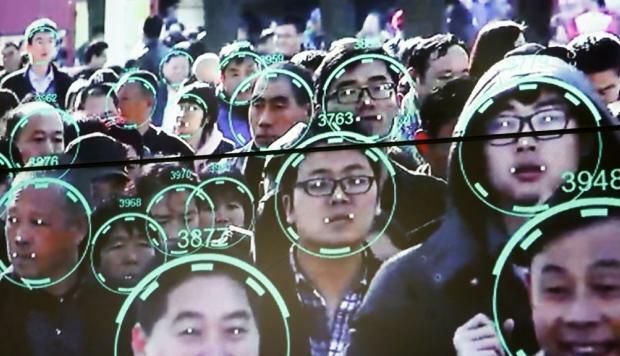 Beijing has been at the forefront of facial recognition technology, such as their “SkyNet” system deployed in over 16 provinces, cities and autonomous regions which can instantly scan faces and compare them to a database of criminal suspects at a speed of 3 billion times per second, according to People’s Daily. In Guizhou, the movement of every police officer is tracked in real time. Meanwhile, China has gone to great lengths to ensure the fidelity of its government data – inking contracts with companies like ZTE to develop blockchain technology in order to prevent bad actors from modifying information. In order to tie China’s monitoring apparatus together, “Zero Trust” can cross-reference over 150 protected databases across Chinese central and local governments – allowing the system to create sophisticated, multi-layered social relationship maps which can then be run through machine-learning systems in order to map out behaviors of government employees. For example, the system will flag unusual bank account activity – such as a giant increase in savings, or the purchase of a car, “or bidding for a government contract under the name of an official or one of his family or friends,” notes SCMP. “It can even call up satellite images, for instance, to investigate whether the government funding to build a road in a village ended up in the pocket of an official,” for example. Beijing has experimented with Zero Trust in 30 counties and cities – just one percent of China’s total administrative area – and mostly in backwater counties that are relatively poor. According to one researcher connected to Zero Trust, the idea for the test was to “avoid triggering large-scale resistance among bureaucrats,” particularly powerful ones, to the use of AI and tracking bots to monitor government. Most of them were given warnings or minor punishments, while a few were actually sentenced to prison. Over 1.4 million government officials have reportedly been disciplined since Xi rose to power in 2012, according to the report. Unsurprisingly, government officials have been hesitant to provide data to the Zero Trust project – however “they usually comply with a bit of pressure,” according to SCMP‘s anonymous source. Overall, China is growing increasingly reliant on AI for day-to-day operations. Last month, for example, a Shanghai court became the first in the country to utilize an AI assistant at a public hearing. The system is expected to reduce the likelihood of an incorrect verdict, according to one judge. Meanwhile, who’s watching the watchers if they simply turn off their robot overlords?